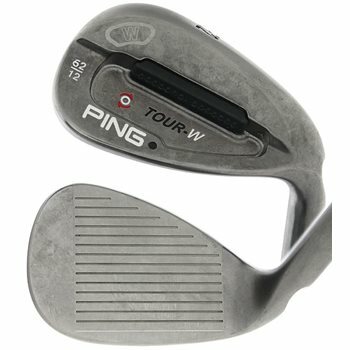 The Ping Tour-W wedge features a small, teardrop shape with a high moment of inertia due to a dense tungsten toe weight and a small cavity. The deep tuning port creates a center of gravity that is more forward and lower to promote proper clubhead rotation. It also features a machined face and grooves to help control from most any lie. The sole design and multiple bounce options provide combinations that will be conducive to the playing style and conditions of players of all abilities. High performance and versatility from around the green, the fairway, and from the sand.